Younes Kaboul got the nod ahead of captain John O'Shea for the Tyne-Wear derby. Sunderland boss Sam Allardyce opted to keep faith with the central defensive partnership of Kaboul and Lamine Kone at St James's Park, rather than restore O'Shea to the starting XI, despite the 34-year-old never suffering defeat against Newcastle United. Jermain Defoe was the only change to the Sunderland line-up, with the striker taking the place of Dame N'Doye. Newcastle, meanwhile, recalled fit-again Chancel Mbemba in the heart of their defence. 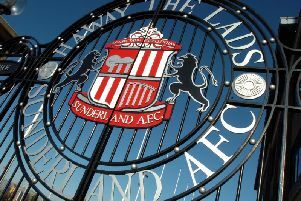 Sunderland: Mannone, Yedlin, Kone, Kaboul, van Aanholt, Kirchhoff, M'Vila, Rodwell, Borini, Khazri, Defoe. Subs: Jones, Cattermole, Pickford, N’Doye, O’Shea, Lens, Toivonen.